BUFFALO GROVE, Ill., March 12, 2019 /PRNewswire/ -- ANGUS Chemical Company ("ANGUS"), a leading global manufacturer and marketer of specialty and fine chemicals, today announced the appointment of James Huang as Business Vice President for the Asia Pacific (APAC) region. The announcement was made by ANGUS President and CEO David Neuberger, to whom Mr. Huang will report. Mr. Huang is a chemical industry veteran with more than 20 years' experience in numerous leadership roles in multinational specialty chemical and industrial products organizations. He joins ANGUS from Ashland, where he most recently served as Greater China Sales Director for the company's paints and coatings business. In this role, he was responsible for leading solid growth for the business by implementing a customer-centric market approach and optimizing the company's regional distribution model. Previously, he held the role of China Sales Manager for Ashland's personal care business where he helped drive double-digit growth in the APAC region. "Asia Pacific remains one of the largest and most dynamic growth markets for ANGUS, with significant opportunities for ANGUS in personal care, paints and coatings and other key end markets we serve," said Mr. Neuberger. "James brings a deep understanding of the local market, as well as established relationships with many of our key personal care and paints and coatings customers in the region. I look forward to the addition of James' experience and proven track record for driving growth to the ANGUS Leadership Team." Prior to Ashland, Mr. Huang held commercial, sales and marketing and technical roles at GE, and National Starch, among others. 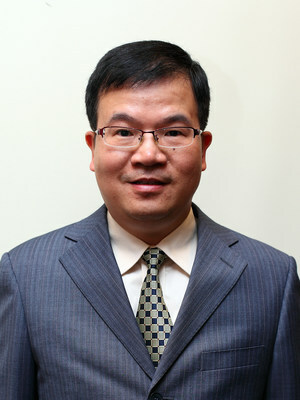 He holds a bachelor's degree in polymer chemistry from Tianjin University, and an executive M.B.A. from the Carlson School of Management at the University of Minnesota. He will primarily be based in Shanghai and has leadership responsibility for ANGUS' Customer Applications Centers in Singapore and Shanghai, which service customers in Greater China, Japan, Korea, Southeast Asia, Australia and New Zealand. ANGUS Chemical Company is a leading global specialty and fine chemical company dedicated to the development of novel chemistries that deliver enhanced product and process performance across a wide range of applications in biotechnology, paints and coatings, personal care, metalworking fluids, energy and other industrial markets. The company innovates through its unique nitroalkane chemistries, which are produced at fully integrated, ISO 9001-certified manufacturing facilities in Sterlington, Louisiana, USA, and Ibbenbüren, Germany. ANGUS serves its global customers through six regional Customer Applications Centers located in Chicago, Illinois; Paris, France; São Paulo, Brazil; Singapore; Shanghai, China; and Mumbai, India. The company is privately owned by Golden Gate Capital and is headquartered in Buffalo Grove, Illinois. For more information, visit angus.com. Follow ANGUS on Facebook, Twitter, and LinkedIn.